BARNAUL, December 6. /TASS/. 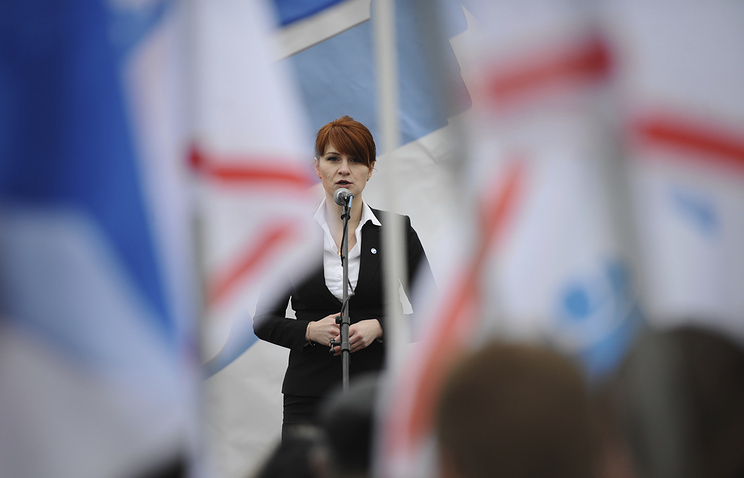 It is just the enthusiasm that keeps attorneys for Maria Butina, arrested in the US, working on her case since they only receive a symbolic payment for their job, her father, Valery Butin, told TASS, voicing concern that there is no money left to pay for their services, meaning the attorneys could quit, leaving Maria without a defense. "Millions of rubles (are needed). There was assistance from the Fund, established to support Maria, but it is not comparable with how much is needed. <...> The attorneys work out of enthusiasm simply because they are good people, they understand that the case is unfair in legal terms, which is an opportunity for them, and they could win the case. They work for free now, but they are hired, and it is unclear for how long their employer will allow them to do their job free of charge," Butin said. According to him, the attorneys have received insignificant sums as payment, but it is not enough. Butin noted that if the defenders working on Maria’s case quit, it could result in a severe sentence. "Ending up without a defense now poses a threat of being sentenced to up to 15 years, to be precise. The deadline for finding the money has long expired," he emphasized. Butin also said that he had received a letter from the office of Russian Human Rights Commissioner, Tatyana Moskalkova, in which she asked the private sector to support Maria. Her father plans to use this document to appeal to businessmen for their assistance. At present, Maria is being housed in a separate cell, and it is not clear when this regime is going to be lifted. 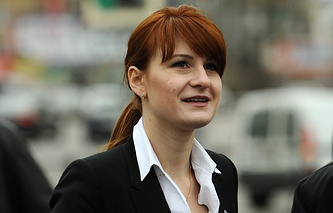 Maria Butina, who studied at American University in Washington, had been arrested on July 15 ahead of the Helsinki summit between Russian President Vladimir Putin and his US counterpart Donald Trump. The Russian gun rights activist is facing charges of conspiracy for conducting activities in the interests of a foreign state. Investigators claim that she was engaged in these activities without registering as a foreign agent at the US Department of Justice. During a July 21 phone conversation with US Secretary of State Michael Pompeo, Russian Foreign Minister Sergei Lavrov demanded a speedy release for Butina, having deemed the charges against her as fabricated.